As expected, Power Star Pawan Kalyan’s Janasena Party is not contesting in the upcoming Assembly elections in Telangana state to be held on 7th of December. Although Pawan Kalyan initially thought of fielding contestants for assembly polls in both the Telugu states, he decided not to participate in Telangana owing to early polls in the state. 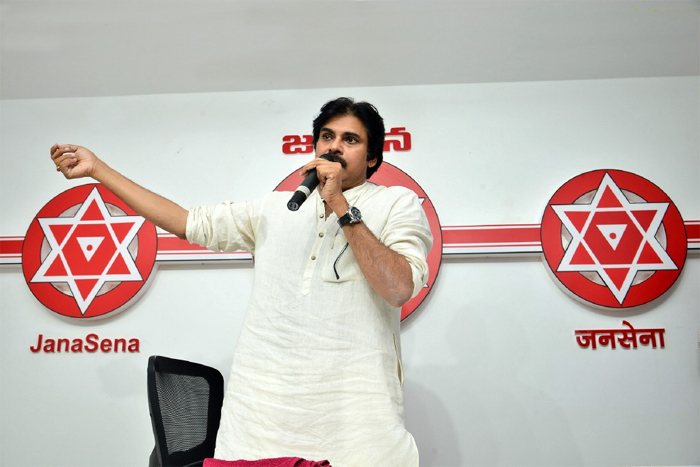 However, Pawan Kalyan made it clear that, his party will contest for parliamentary elections. Meanwhile, reports are coming that, Pawan Kalyan will be making re-entry in films with a political drama film where he will be playing a 45 minutes brief role as a powerful political leader. One amongst Nithin and Sai Dharam Tej will essay lead role in the film to be bankrolled by Ram Tulluri who is a close aide of Pawan Kalyan.